My name is Paul and I am a very proud dad to three beautiful girls – Cherri, Casey and Shanie. When our first daughter Cherri had just turned three, my wife Donna and I had our world turned upside down when our little girl was diagnosed with leukaemia. Cherri had been ill for a couple of months with what our doctor thought were just repeated viral infections. Then one day she literally didn’t get off the sofa. She didn’t move, eat or drink all day. We live with my parents-in-law, John and Debbie. It was when John got home that he took one look at Cherri, declared enough was enough and we went straight to our local A & E in Poole. The next day we knew – we knew it was leukaemia – we were sent to Southampton Hospital and Donna and Cherri then spent the next 10 weeks living on a hospital ward. Cherri was amazing. She was on so much medication, including chemotherapy and yet she actually dealt with it all so much better than Donna and I. When her hair fell out I remember her turning to me and saying “Daddy I know my hair will grow back, when yours falls out it won’t.” Well, what could I say to that! Cherri was on chemotherapy medication for over two years. With the constant hospital visits and stays back in hospital when she caught infections, she missed out on so much that should have been hers to enjoy. 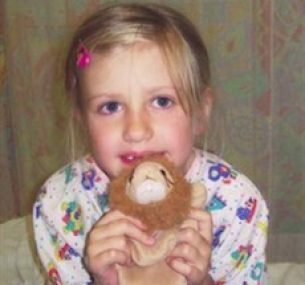 She started school during her treatment – a massive milestone for any little girl, but even harder for Cherri as she had never had the chance to go to pre-school and make friends. 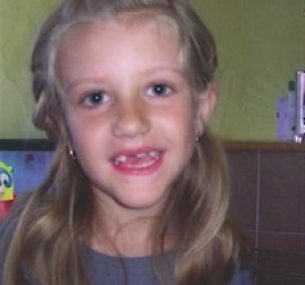 Cherri did beat her disease; she is now seven and has been in remission for two years. We are so very proud of her and her incredible attitude. She has been left with side-effects from the chemotherapy – her sight, her hearing and her walking have all been affected. However, when I think back to the forms I signed in hospital, allowing them to give such dangerous drugs to my daughter, I know it could have been so much worse. Thank you for taking the time to read my family’s story. We hope that by sharing our feelings with you we can help to explain just why the fight against childhood leukaemia is so very important. Chemotherapy undoubtedly saves lives. But minimal residual disease testing can help to reduce the risk of terrible side effects. 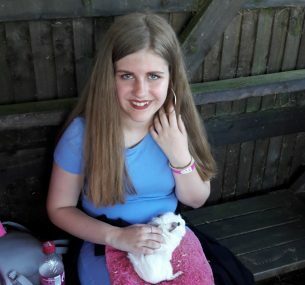 Cherri is doing really well at school and is looking forward to the summer holidays. She is so much better health-wise and we have not had a panic attack since February which is really good for her as they were regular. 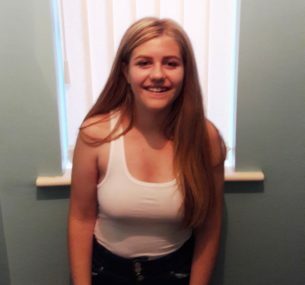 This is an up-to-date photo of Cherri, who is now 14 and at high school studying double Science, Maths, English, Psychology, Sociology, History and Ethics. She is very well health-wise but we have had lots of ups and down over the years. She is very much interested in law, history and shopping and she has a good friendship group. She now has four younger sisters, Casey, 12, Shanie, 9, Shara, 6 and Lacie, 5. Cherri also does a fundraising event every year to raise money for Children with Cancer UK as she wants to give something back to the people that helped her.